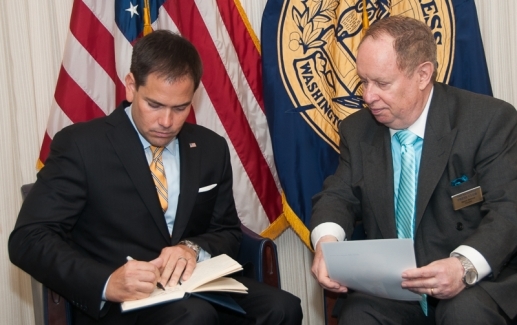 Senator and possible Presidential candidate Marco Rubio (R-FL) signs the National Press Club guest book before his luncheon talk while Club President Myron Belkind looks on, May 13, 2014. 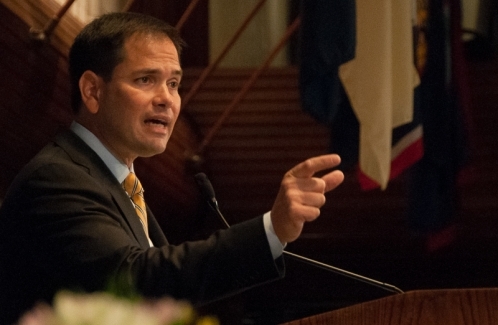 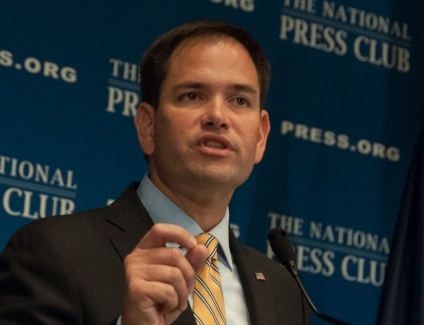 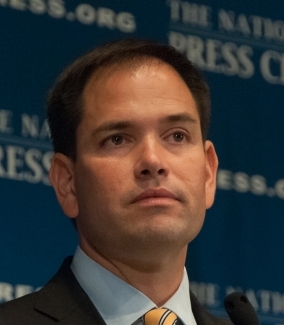 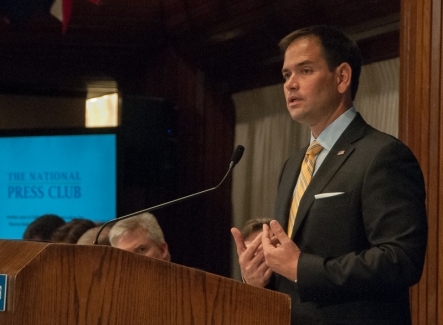 Senator Marco Rubio (R-FL) speaks to a National Press Club luncheon, May 13, 2014. 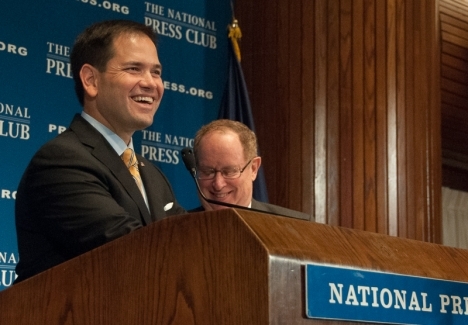 Sen. Marco Rubio (R-FL) and National Press Club President Myron Belkind laugh at one of Sen. Rubio's responses in the question period following his luncheon speech, May 13, 2014. 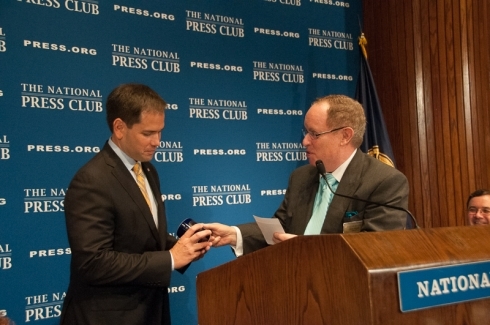 Sen. Marco Rubio (R-FL) receives the traditional National Press Club coffee mug from Club President Myron Belkind after his luncheon speech, May 13, 2014.